The most recent round of backlash to high-stakes, state-mandated testing comes as no surprise to anyone who has been paying even the smallest bit of attention to changes in educational policies over the last decade. From the onset of No Child Left Behind to state-mandated tests as a result of the recently implemented Race to the Top initiative and Common Core State Standards, our culture has been more focused on what tests have to say about what is happening in our schools. We expect more transparency. Testing has been seen as the easy window into the classroom. Not only do I see this in my own tenth grade classroom, but in the classroom of my own children. My son started kindergarten this year. Early this past May, we attended Kindergarten Round-up, a morning set aside to meet teachers and administrators, to meet future classmates, and tour the school. At least that is what I thought it was going to be. Instead, my son and I were separated. He was taken into a separate room with four stations, asked to sound out words, arrange letters, make stories from building with bricks, and spoke with the school psychologist. In the span of circulating through four stations in 30 minutes, his reading and reasoning skills were assessed so that he could be “leveled.” Meanwhile, the other parents and I sat with a group of teachers and the school’s principal, listening to how important the kindergarten assessment would be when students took the test the following May. We were continually reassured that the elementary school routinely performed well on the state tests, which children would take every year from kindergarten through eighth grade. A state standardized test for kindergartners. The focus of this initial meeting was not on helping young learners build relationships, understand connections, or foster a love of reading and learning; instead, the overwhelming message was about the importance of testing. My six year old son was sent home with weekly homework packets filled with practice sheets in preparation for the routine DIBELS tests, popcorn words lists to memorize, and handwriting practice sheets. After the first month of school, recess was taken out of the schedule as parents were told that the time was needed to better prepare students for the tests students would be taking. Instead, recess time was replaced with time in a computer lab. My six year old son spent a portion of his time at school in front of a screen in order to prepare him to take a test. The backlash against the proliferation of high-stakes testing should not be a surprise to anyone. It is much more difficult to address the systemic issues that contribute to a student’s success or failure. Test results are easy to get and easy to interpret. In the case of my own classroom, my tenth grade students recently took the Pennsylvania Keystone Literature test, a test which students must pass in order to graduate. This is a recent change, with my current group of tenth graders being the first class of students who face this new graduation requirement (fortunately, this now seems to be on the way out). As a result, our curriculum and even course offerings have changed. 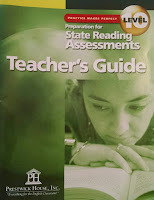 I have a state reading assessments workbook I was asked to use with my students which consists of short non-fiction passages and multiple-choice questions to work through. Instead of having students read full texts, we are moving more and more to passage-based reading. 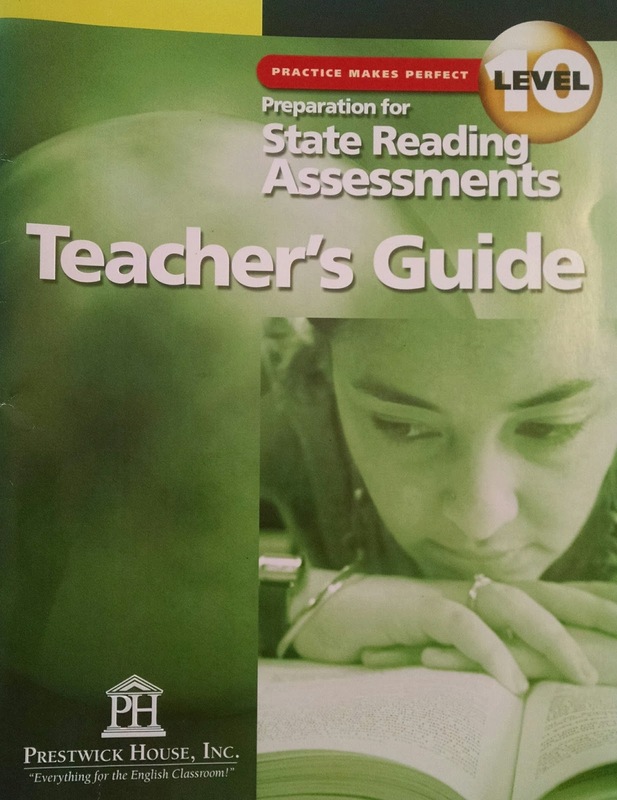 As research is not something assessed by state-standardized tests, teachers have dropped the more intensive project-based learning opportunities in favor of short reading assessments with multiple-choice questions aligned to our state standards and replicating those questions that students will see on the Keystone literature exam. During the actual testing itself, the state told us that not only did we need to cover or remove any content specific posters/decor in our rooms but that we also need to remove any motivational posters. 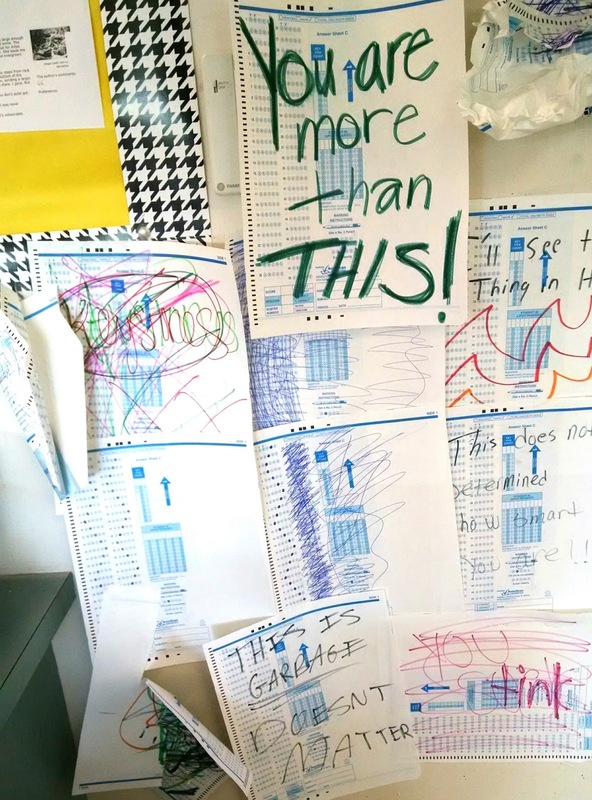 Over the last year, the state conducted a study and found that students testing in classrooms with motivational posters performing statistically better than those in rooms without. So to level the field, we needed to make our classrooms as bare as possible. 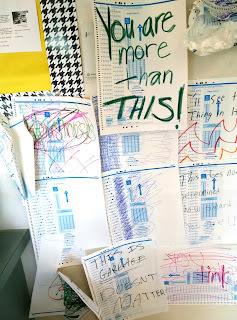 We have gotten to a point in our testing craze that teachers are being told to remove decorations and motivational posters from their walls to accommodate high-stakes testing. As Afflerbach states, the negative consequences of such high-stakes assessments far outweigh the positives. Students broke down and cried during our six days of state assessments. Students began school with two hours of state tests and then went through their regular classes. A full day of classes following a grueling two hours of high stakes tests upon which their graduation is dependent. And a number of students will find out this summer that their efforts were for naught. They will be labeled “Below Basic” and rescheduled into a “Keystone Reading Class,” which students all know as the code of a remedial English class. “Labels from test results are accompanied with myriad related consequences, such as lowered expectations, differential treatment in the reading classroom, and decreased perseverance for those labeled as low-achieving readers” (160). So rather than providing support for our struggling readers, such tests do much more harm than good. And this should come as no surprise when educational policies are made by those outside of education.